Current featherweight champion Max Holloway who’s coming off a fantastic win over previously undefeated Brian Ortega in the main headliner of UFC 231 last weekend to defend his title for the second-time and stretch his winning streak to 13. At the post-fight presser ‘Blessed’ said he’d like to move at lightweight and become the first man to beat Nurmagomedov inside the Octagon. Reigning lightweight champion Khabib Nurmagomedov successfully defended his title after choking out former two-division champion Conor McGregor to extended his undefeated professional record to 27-0. Currently, he’s awaiting punishment from Commission for his role in the infamous UFC 22 post-fight brawl that ensues riot inside and outside the octagon. To remind you Holloway and ‘Eagle’ were originally scheduled to fight for a vacant lightweight title at UFC 223 but ‘Blessed’ forced to withdraw from the fight after NYSC deemed him unfit to compete. It seems Nurmagomedov didn’t entirely deny the fact of fighting Holloway but said ‘Blessed’ needs to prove himself at lightweight before a potential super fight. 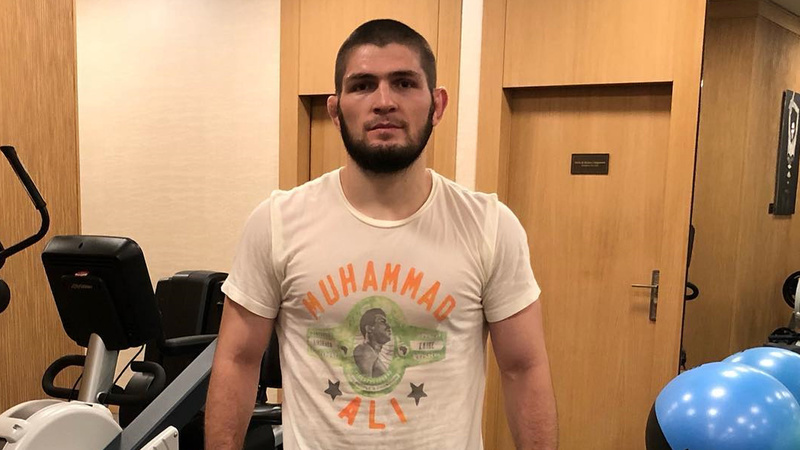 “@TeamKhabib: Max is doing well, this is interesting to me, he is my potential rival.. but this is different category for him, other body structure, another wrestling. ⚡️@BlessedMMA said he was interested in this fight. Will this fight happen? According to Khabib, Tony Ferguson or Dustin Poirier should come against him for his next title defense. Nurmagomedov and Ferguson both have been previously scheduled on four different occasions and each time bout fell sideways due to various reasons. Meanwhile, Poirier is 8-1 (1 NC) record since returning to the lightweight division. Even Dana White also said Ferguson deserves the next title shot at Khabib. A showdown between Ferguson and Khabib is possible to re-made. Khabib could also enter a rematch with Conor Mcgregor, who’d need a win to lock down a second crack at Nurmagomedov. With all the current options on the table, it seems like Holloway has to wait little longer to square off inside the Octagon against Khabib. Previous articleJavy Ayala Defeats Frank Mir Via Submission (Strikes)!